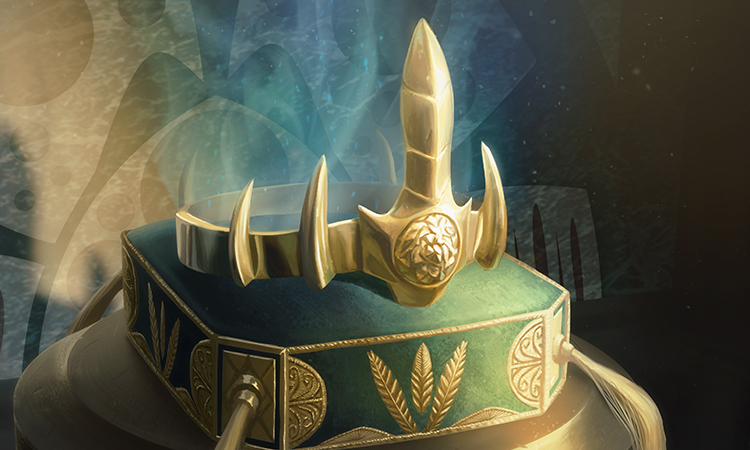 It's Conspiracy: Take the Crown Preview Week. I'm going to introduce you to the design team, and talk about how the design—including all the mechanics—came to be. Then I'll show you a very cool preview card of a beloved character that fans of the original Conspiracy were hoping to see return. I hope that sounds like fun, because I'm starting right now. As always, I like to begin by introducing you to the people who actually designed the set in question. I usually don't get too involved in the design of supplemental products, but I'm happy to say the design was in very good hands. Let's meet the team. Just as the Un- sets are my baby, Conspiracy is Shawn's. 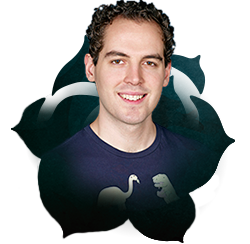 Shawn has always loved both drafting and multiplayer play, and was interested in finding an intersection between the two. The original Conspiracy was created as an experiment, with Shawn trying to see what would happen if we ventured into territory the game had never gone before. R&D experiments a lot and the vast majority of that experimentation never makes it outside the Pit, but Shawn was passionate about his idea and it was one of those moments where the timing was ideal, and Conspiracy actually made it to print. The story could have stopped there, but it didn't. Many of you got your hands on Conspiracy and loved it. So much so that we decided to make another one—exceedingly quickly by historical standards. And, of course, it was clear who was going to lead the design. No one had more passion (or experience at this point) to make a second Conspiracy than Shawn. Today's story is going to be about that challenge and how Shawn and his teamed stepped up to meet it. You all probably know Nik best as an author of many cool Magic stories. For instance, he's responsible for both the Ob Nixilis stories and the Tamiyo stories. Most of you might not be aware that Nik has spent many years in R&D having his hands in all sorts of things like design and world building. Nik was the perfect fit for this design team, as he enjoys the quirkier side of Magic and has a great design aesthetic. For a developer, Bryan's been showing up in a lot of design bios recently. 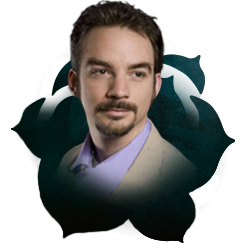 He worked on both the design teams for Eternal Masters and Eldritch Moon. Bryan's biggest responsibility is being the content lead for Magic Duels (overseeing all the card content—which cards the players have access to as well as what goes into specific decks that you fight either with or against), but he's also very active in the Future Future League, our internal playtest league where we playtest the future to make sure we catch problems before all of you do. 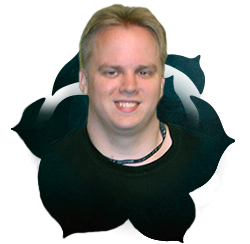 Bryan served as the development representative on the team, meaning he was responsible for overseeing the costing and power level to make sure playtests ran smoothly. Ken is a card-designing machine. He really enjoys multiplayer Magic. Ken was also on the original Conspiracy design team. Those three factors combined made him an excellent addition to Conspiracy: Take the Crown's design team. One of the things I most enjoy about Ken as a designer is that he's excellent in finding new design spaces to explore. Once you point him in a direction, he'll turn over every stone trying to figure out how to make new and different cards. As CN2 had the difficult task of working in a space that had already been mined once, Ken's abilities were put to good use. 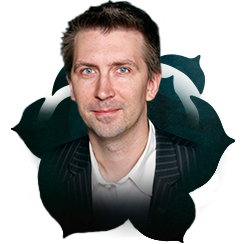 Most people know Matt Tabak as the Magic rules manager. (He actually spends most of his time editing, but that just doesn't sound as glamorous.) 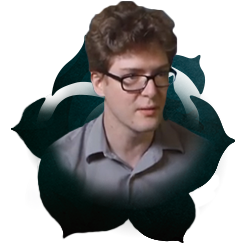 What most people don't know is that Matt has been on a number of different design teams and has the knack for coming up with very unique card ideas. (Something about knowing the rules well makes you able to know where the odd spots lie.) 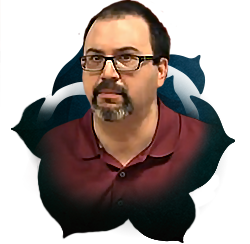 Matt, along with Shawn and Ken, was also on the original Conspiracy design team and was eager to sign up for another chance to explore the multiplayer/Draft design space. Technically, Kelly wasn't on the design team, but he served as the creative representative, making sure that the set's flavor lined up perfectly with the set's mechanics. Players really enjoyed the last visit to Fiora, so he made sure that the return trip was just as flavorful. The story of the design of Conspiracy: Take the Crown started as the first Conspiracy hit the streets. When Shawn first pitched the idea, a lot of people were skeptical. Conspiracy was exploring strange new space and seemed like a gamble. All of that doubt disappeared, though, as the product was released to a very positive response. So positive, in fact, that before Shawn knew it, he was being asked to create a sequel. A sequel is a daunting thing to design. You only get asked to make one when the first one is successful, meaning you have to create a product that paves new ground while living up to the reputation of the original. On top of all that, the sequel was being fast-tracked—which meant that Shawn not only had to figure everything out, but he needed to do it quickly. What was the essence of what made the first Conspiracy popular? Conspiracy: Take the Crown had to live up to its predecessor, which meant that Shawn and his design team had to understand what expectations the product would have. What successes of the original needed to return? Where was there room for improvement? The key to finding new space for the design was figuring out what the first set didn't maximize. Where was there space to execute better than the first Conspiracy? It was this space that Shawn and his team could build and expand upon. When Shawn thought about Conspiracy, he was convinced that it had succeeded because of three basic tenets: it had a strong multiplayer theme, it had a unique drafting component, and it had a flavorful setting. Each of those successes would have to be revisited. When Shawn looked at Conspiracy critically, he realized that his themes and mechanics paved new ground but didn't maximize how they were used. He felt with some critical analysis, he and his design team could find better ways to do what Conspiracy did. Let's begin with the main new mechanic of the set. I'll walk you through the problems it was trying to solve and then show it to you, complete with a preview card. Okay, so Shawn and his team recognized that Conspiracy's success rested on its ability to understand the dynamics of multiplayer play and then create mechanics that helped offset weaknesses of the format. This, of course, brings up a question—what is the main weakness of multiplayer play as a format? The answer is the group dynamics of multiplayer push players away from action. Being seen as a threat leads you to facing multiple other players, a fight you usually can't win. As such, the correct strategy is often to turtle up, to spend all your resources protecting yourself from harm. This leads to slow, non-interactive games. Something that encouraged players to attack. Multiplayer is just more fun if there's interaction between the players, and creature combat is about as interactive as it gets. Something that drew bullseyes on players. Multiplayer formats tend to be more political, which means you have to arm players with reasons to explain why they're doing what they're doing. Something that created dynamic play. Multiplayer play has the potential to snowball, so if this mechanic could help create some balance in the gameplay, that would be very beneficial. In the end, it wasn't Shawn or any of his design team that came up with the solution to their problem. It was a fellow designer named James Hata who primarily works on Duel Masters, a Japanese trading card game made by R&D. Shawn and James would often talk about design, and one day Shawn mentioned the problem he was trying to crack with Conspiracy 2. James suggested a singular game component that players could fight over. This item would give a boost to its owner, which would lead to lots of fighting as people tried to gain control of it. While you had this item, it would grant you a positive ability, thus ensuring other players would actively seek to take it away from you for themselves. Shawn and his team mocked up an early version of this mechanic and quickly realized they liked it. Just one small problem—it was already allocated for a future large set, one that hadn't even begun design yet. The earliest part of our process is what we call "advanced planning." We take a number of years further out than anything we've currently scheduled, figure out what kinds of blocks we want based on mechanical needs as well as the story we'd like to tell, and start committing to a rough outline. At that point, the story team starts making a basic outline of what they think the story can be and I look at each of the blocks and make sure that I have a sense of what the mechanical hook of the block is going to be. In this block, we're going to return to Innistrad. Instead of a Gothic horror vibe, the set will be more about cosmic horror with the people of Innistrad going mad and mutating. Probably Emrakul is the one causing this to happen. The block will revisit a number of mechanical themes from the original Innistrad block, including double-faced cards. We're interested in exploring the theme of madness and mutation. We're thinking about some kind of forced self-milling for the former and double-faced cards for the latter. As you can see, the prediction is not exactly where the set ends up, but it's a rough guess of the space we plan to explore. It allows us to do some basic planning long before we actually put together teams to start doing the work. Shawn's problem was the space they were exploring was very similar to something I had tentatively planned for Ham, the large set for October of 2017. The biggest problem was that Conspiracy: Take the Crown was scheduled to end design before Ham's exploratory design (the very first design a set does) began. Shawn came and talked to me to find out how to proceed. I told Shawn to keep playing with the mechanic, but also get a backup in case we decided it was coming too close to Ham. We would meet again in a month. So Shawn started fleshing out the mechanic, which came to be called "monarch." It represented the power of the throne as the various people jockeyed for control of it. (The story begins with Brago, the former king, being assassinated—not something that often happens to ghosts). Monarch needed two things. One, an effect or ability it would provide for the person who had it, and two, a condition by which someone else could steal it. The team first figured out the latter. They wanted to incentivize attacking, so the perfect stealing condition was dealing combat damage to the person with the monarch. 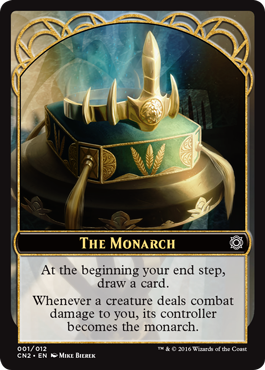 In the beginning, the monarch was a thing (a crown, I believe) and it was considered an artifact token, but playtesting showed that being something that could be destroyed was problematic. The monarch soon became a state rather than a thing. A player "becomes the monarch." What ability becoming the monarch granted was a bit of a tougher nut to crack. The team tried allowing the monarch to draw a card at the beginning of their upkeep, but it turned out it's quite difficult in a multiplayer game to become the monarch and keep it all the way until your next turn. The team then tried having the monarch get +1/+1 to all their creatures. It was immediate, but as combat had to have already occurred for you to steal it, the bonus became more about defense. The team then tried having the monarch untap all their creatures at the end of their turn, but that also ended up making the monarch turtle up in a way that wasn't playing well. They needed a reward that you got right away so the mere act of becoming the monarch was worth doing. In the end, the solution was to take the reward they started with, drawing a card, and move it to a different time. The monarch got to draw a card, but at the beginning of their end step, so that they could reap the reward right away. Before we move on to the other mechanics, I want to show off my preview card, along with the monarch token card. 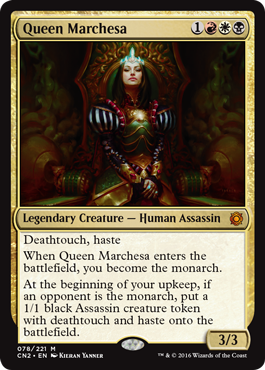 Marchesa, the Black Rose was one of the most popular characters in Conspiracy. Well, she's back and she has one thing on her mind—being the queen. World, let me introduce you to Queen Marchesa. As you can see, Queen Marchesa helps you become monarch and then aids you in getting the title back when it's taken from you. The other big thing Shawn and his team had to figure out was how to evolve the conspiracies and Draft-matters cards. The Draft interactions were a huge part of original Conspiracy's success. In the original set, all the conspiracies and Draft-matters cards were colorless to allow any player to access them. The big leap forward was rethinking that premise. What if many of the conspiracy and Draft-matters cards had color identities? It would allow the effects to be bigger. It would allow access to more effects, as you could now dip into the color pie. It could help separate who played what, allowing cards to float to players who would be more likely to play them. With one tiny shift, the set now had a whole new area of conspiracies and Draft-matters cards to play around with. Besides monarch and colored conspiracy and Draft-matters cards, the set has three other new mechanics. Melee—Creatures with this mechanic get +1/+1 until end of turn for each different player you attack. This encourages players to diversify and interact with a wide variety of other players rather than just attacking the weakest or the strongest. Shawn and his team liked melee, as it creates different incentives than normal multiplayer games and would lead to more interaction. Goad—Whenever a creature is goaded, it's forced to attack on its controller's next turn. It must attack someone though other than you. The design team liked this mechanic because it makes sure that players couldn't just play defensively. It forces the game to progress and makes things happen, all in a way that doesn't punish people politically. Council's dilemma—Conspiracy had a mechanic called will of the council, where cards came with one of two outcomes and the players voted which one occurred. Council's dilemma is a tweak of will of the council. There are still two effects, but now a single player's vote makes a choice happen. So if you have a choice between effect A or effect B with will of the council, and the vote is three for A and two for B, the result is effect A happens once. With council's dilemma, effect A would happen three times and effect B would happen twice. As Shawn likes to say, it's a mechanic that truly makes every vote matter. As you can see, there's a lot of cool stuff going on, all of it hitting similar themes to original Conspiracy but with tweaks that push the gameplay in slightly different directions. That's all the time I have for today. Hopefully I've managed to excite you for the upcoming set. Shawn and his design team did amazing work, and I can't wait for you all to try it out for yourselves. As always, I'm eager to hear your feedback on both today's column and Conspiracy: Take the Crown. You can contact me through my email or any of my social media accounts (Twitter, Tumblr, Google+, and Instagram). Join me next week when I introduce you to a brand-new team. Until then, may you have a chance to create some conspiracies of your own. "Drive to Work #356—Twenty Lessons: Interesting vs. Fun"
This is the fifth podcast in my 20-part series "Twenty Lessons, Twenty Podcasts," where I walk through each of my lessons from my speech at this year's GDC about the many lessons I've learned designing the same game for 20 years. Today's podcast talks about the difference between "interesting" and "fun." "Drive to Work #357—Hybrid Mana"
This podcast explores the history of hybrid mana and talks about how it came to be and how we design with it.